This acclaimed film reference guide is packed with virtually everything movie lovers need to know about the films they simply must see. Stephen Jay Schneider and his team of writers have brought the book up to date by including the most memorable movies released during the past five years. Among their new additions are The Queen, The Lives of Others, Brokeback Mountain, and several more recent movies that have attracted worldwide attention. Covering more than a century of filmmaking and dating back to silent-era sensations such as Edwin S. Porter's The Great Train Robbery and Chaplin's The Gold Rush, this book describes musicals, dramas, screwball comedies, experimental -- New Wave -- films from 1950s and '60s Italy and France, major films noir, classic westerns, action and adventure films, and even memorable documentaries. It lists each film's director and cast, presents a plot summary and production notes, and cites interesting, often little-known facts relating to the film's cast, storyline, and production. For students of cinema, discerning film buffs, DVD collectors, and readers who enjoy thumbing through and reminiscing over cherished screen moments, 1001 Movies You Must See Before You Die is the place to start reading. Filled with 800 movie still shots and actors' photos. * As edited by Steven Jay Schneider, it makes for addictive browsing, and likewise features top quality stills. * One of the best desert island books about art house film in print. With over 750,000 copies sold worldwide in twenty-four languages, the newly revised and updated 5th Anniversary edition of 1001 Movies You Must See Before You Die celebrates the great and groundbreaking, classic and cult must-see movies of all time and offers a treasure trove of incisive, witty, and revealing insights into the world of film. Illustrated with hundreds of stunning film stills, portraits, and poster art, 1001 Movies brings together the most significant movies from all genres, from action to western, through animation, comedy, documentary, musical, noir, romance, thriller, short, and sci-fi. The selection includes movies from over 30 countries and spans more than a century of extraordinary cinematography. 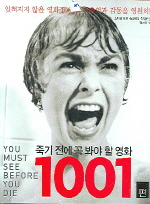 Whether your passion is romantic comedy or art house, The Blue Angel or Blue Velvet, 1001 Movies is the book for you. Steven Jay Schneider, one of the true connoisseurs of movie horror, has written, talked, taught, and published extensively on all aspects of film, from aesthetics and psychoanalysis to the joys of the slasher flick. Here he has brought together over 50 of the finest writers, reviewers, critics, professors, aficionados, and filmmakers from across the globe. From Le Monde's Jean-Michel Frodon in Paris to Undercurrent's Chris Fujiwara in Tokyo, the team comprises the best that film writing has to offer and includes contributors to Empire, Sight and Sound, Time Out, Rolling Stone, the New York Times, Total Film, International Film Guide, LA Weekly, CineAction, Film Quarterly, NME, the Washington Post, Filmmaker, Moviemaker, and many more.